Natural wines are hugely preferable to those that are not. As you may have read, 85% of the wine industry in the UK is provided by the supermarkets. Supermarkets don’t care about providing loved and healthy wine, they just want profit. This is why you’ll struggle to find Natural wines. 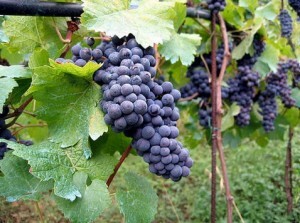 Making a natural wine is a risky and more expensive process, meaning that they will avoid it. Natural Wine makers make these wines because they are truly passionate about them. With a commitment to minimum intervention with their produce, these wine makers use wild, natural present yeasts, rather than bought in cultivated strains. They are also against using sulphites. There can be some confusion when it comes to natural wines. Many manufacturers are branding their wines as ‘natural’ when in fact they are not. Some producers are using organic ingredients, which in fact are not the same as natural wines. It is entirely possible to have EU certified organic wine with over 40 additives in it, whereas it is also possible to have a wine that has no legal organic status, yet uses absolutely zero chemical additives. As you can imagine, this can make it incredibly difficult to know exactly what you are buying. There is a small suggested range of organic and biodynamic wines, along with a further explanation about exactly what they are and why they can be great wines when you choose the right one. Organic and biodynamic wines appeal to many as they make use of organic grapes – and can contain very little sulphite content. As there are a number of wines branded as organic and biodynamic, it is important to be aware of the ones that have little sulphite as well as those that have large amounts.